The Royal Borough of Kensington and Chelsea has a vibrant history, elegant style and a prestigious reputation, making it one of the most desirable areas to live in the whole of London. Properties in Chelsea include charming mews houses, regal red-brick mansion blocks and stucco-fronted terraces. 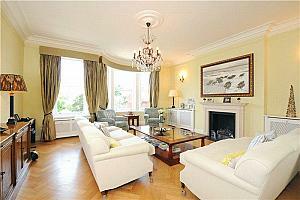 Properties in South Kensington tend to be larger, deeper buildings that contain grand apartments. Great shopping, fabulous restaurants and world class cultural venues make Chelsea and South Kensington an exciting and desirable place to live. Chelsea has an excellent range of restaurants, private members clubs and bars to keep everyone entertained and perhaps has some of the best night life in London. In addition to drinking holes, there’s a wide range of cultural activities to enjoy from art galleries to cinemas. The Phoenix on Smith Street offers a quiet place to enjoy your pint. Although popular, as it’s located a few streets back from Sloane Square it manages to avoid getting overly crammed. Barts on Sloane Avenue is a cocktail bar presented as an American-style speakeasy, serving an extensive array of cocktails and spirits in a fun, 40s styled bar. If you’re felling peckish, try some of the sushi. Chelsea has a strong fashion heritage that stretches back to the 60s and 70s when emerging designers such as Vivienne Westwood opened boutiques in the area. Today the area may be less bohemian than it was in the 60s but the wide range of shops and boutiques means that everyone can find something to match their individual style. As expected for an area like Chelsea, there’s also a great range of upmarket eateries and cafes. Our office in Chelsea highly rates the Good Life Eatery. They serve great flat white coffees and a range of sweet organic delights. Maxelâ on Old Brompton Road is an artisan butcher with an attached restaurant. Their motto is ‘serial craftmanship’. They display their butchery skills at the front of the shop and serve simple, delicious Italian food at the back. There’s a mixture of good local independents and private schools in Chelsea and South Kensington. The state primary schools are Christ Church C of E Primary School, Sevite RC School and the Oratory Roman Catholic Primary School. Private Prep schools are the Gems Hampshire School and Cameron House School. 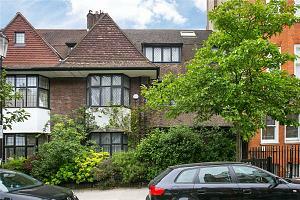 Chelsea is well situated and as such has excellent transport facilities. If you are looking for a property in Chelsea, please get in touch by calling us or pop into our branch. 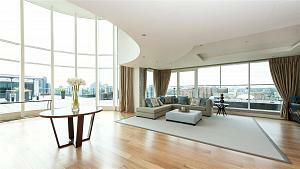 For more information, contact the local property experts in our Chelsea branch.